Apple is banning any and all cryptocurrency mining on the company’s products, including iPhones and Macbooks, and is taking that stand in no uncertain terms. The goal, according to the company, is to preserve battery life and avoid "unnecessary strain on device resources." Earlier this year, ConsumerAffairs reported how much of an energy hog cryptocurrency Bitcoin is, reporting that it uses as much energy as the entire country of Ireland. The new rule is part of Apple’s latest App Store developer guidelines and represents a swift response to deceitful programmers who tried to pad unconnected ads and apps with software that mines cryptocurrency. "Design your app to use power efficiently. Apps should not rapidly drain battery, generate excessive heat, or put unnecessary strain on device resources. Apps, including any third party advertisements displayed within them, may not run unrelated background processes, such as cryptocurrency mining." As many iPhone owners know, Apple’s iPhone batteries have had a rough go over the last six months. Wallets: Apps may facilitate virtual currency storage, provided they are offered by developers enrolled as an organization. Mining: Apps may not mine for cryptocurrencies unless the processing is performed off device (e.g. cloud-based mining). Exchanges: Apps may facilitate transactions or transmissions of cryptocurrency on an approved exchange, provided they are offered by the exchange itself. Initial Coin Offerings: Apps facilitating Initial Coin Offerings ("ICOs"), cryptocurrency futures trading, and other crypto-securities or quasi-securities trading must come from established banks, securities firms, futures commission merchants ("FCM"), or other approved financial institutions and must comply with all applicable law. Restricting incentives: Cryptocurrency apps may not offer currency for completing tasks, such as downloading other apps, encouraging other users to download, posting to social networks, etc. The app that pushed Apple over the edge is reported to be Qbix’ "Calendar 2" (also known as "Calendar 2: The Scheduling"), an app that mined a virtual currency called Monero in the background on users’ Apple products. Apple yanked the app from the App Store but gave it a reprieve after Qbix removed the mining feature from the software. While it’s not exactly clear how many apps on Apple’s App store contain cryptomining features, experts say they have found several -- all of which can be problematic to users. "Market leaders Bitcoin and to a lesser extent Ethereum require powerful and expensive specialized hardware to mine profitably,” explained cryptojacking watcher Jordan Pearson. “The CPUs found in iPhones and the generally weak GPUs that ship with most Macs, on the other hand, can really only feasibly mine coins like Monero and other lesser-known offerings." Last year, computer security software company Avast found an app on the Google Play store passing itself off as the "Cooee" game that also mined the Monero cryptocurrency. "As with many malicious trends, the cybercriminals have quickly moved from PC to mobile," wrote Avast upon discovering the rogue app. "It’s important to understand that mining cryptocurrency is actually a legit business. 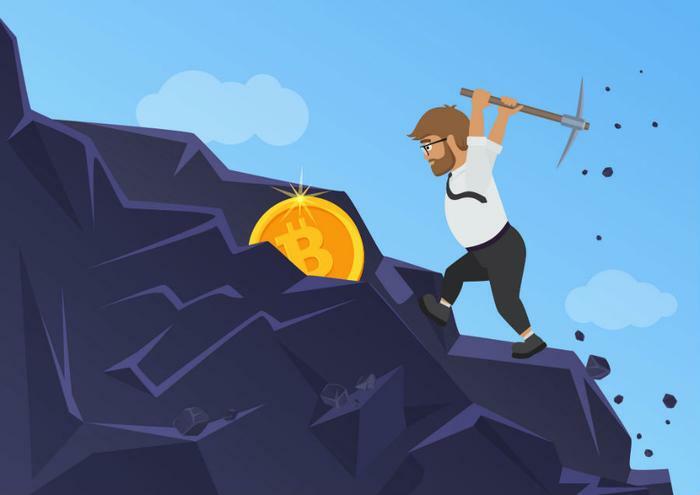 Since mining cryptocurrencies is expensive, miners are resorting to abusing the processing power of other devices and are spreading mining programs through apps and websites." It’s unknown whether other manufacturers and platforms will follow Apple’s decision on cryptocurrency-mining apps. Earlier this year, Facebook, Google, and Twitter closed the door on any advertising for initial coin offerings, cryptocurrency wallets, and some cryptocurrency exchanges.